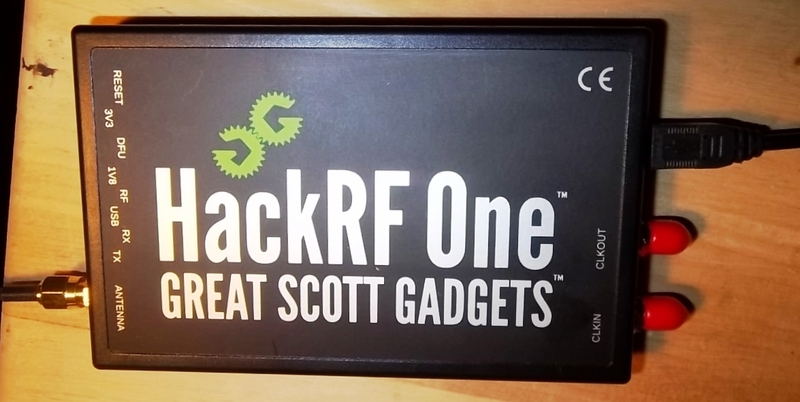 The HackRF One is a Software Defined Radio manufactured by Great Scott Gadgets (www.greatscottgadgets.com) and has been on the market for a few years. 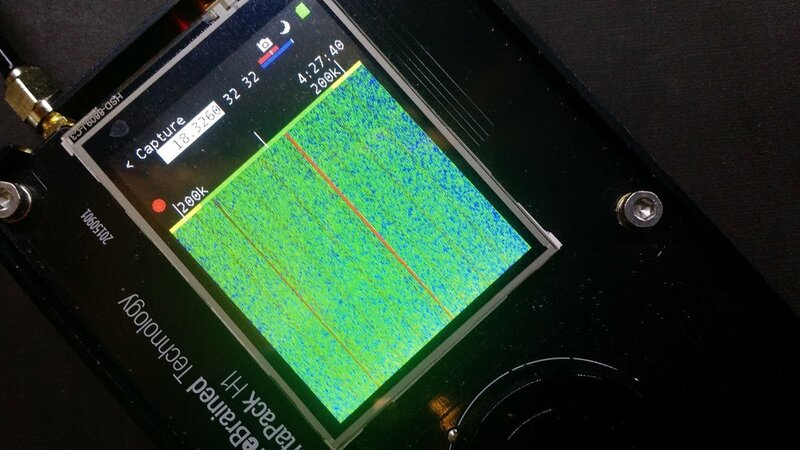 Having used an SDR-Dongle for several years I felt it was time to “step up” to this wideband (1 MHz – 6 GHz) receiver to investigate a broader breadth of the radio spectrum, so one was purchased from Sparkfun (www.sparkfun.com). 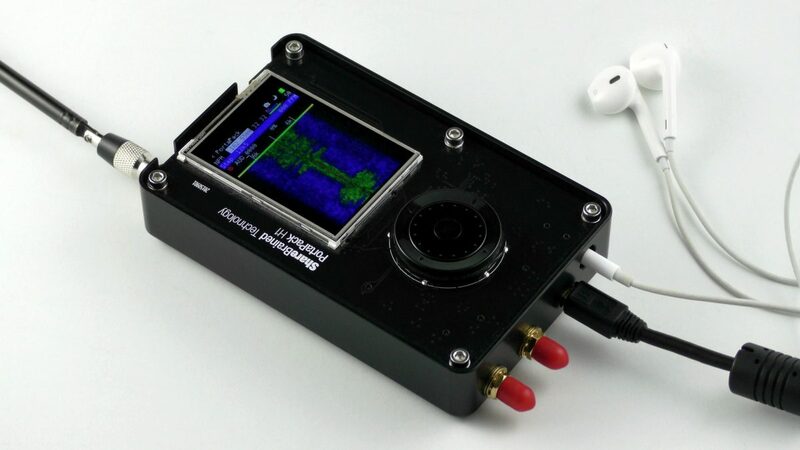 Recently I performed a rudimentary evaluation of its ability to receive DGPS (Differential Global Positioning System) beacons found in the Longwave band between 285 – 325 KHz; this frequency range is well below the HackRF One’s stated lower receive limit of 1 MHz. 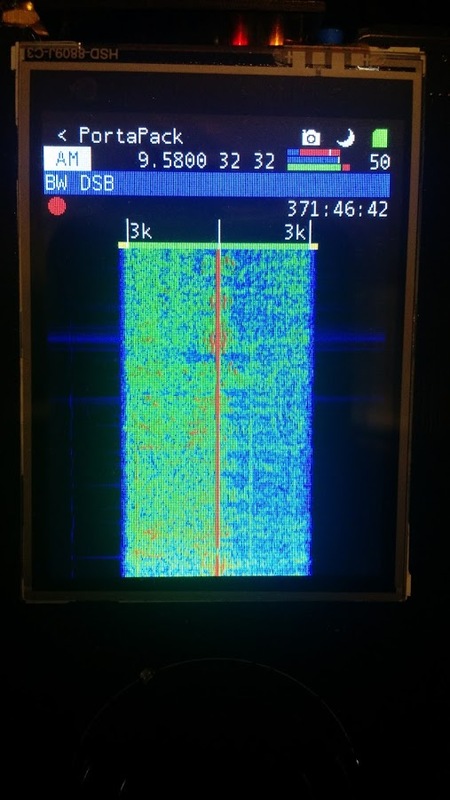 DGPS beacons, when tuned using SSB, emit a distinctive warbling sound, and at this QTH, depending on band conditions and time of year, can be heard as far away as the Midwest. Winter brings the cold weather but also excellent conditions for receiving these beacons, some of which were former marine radiobeacons retrofitted to provide greater DGPS accuracy. DGPS beacon from Sandy Hook, NJ. 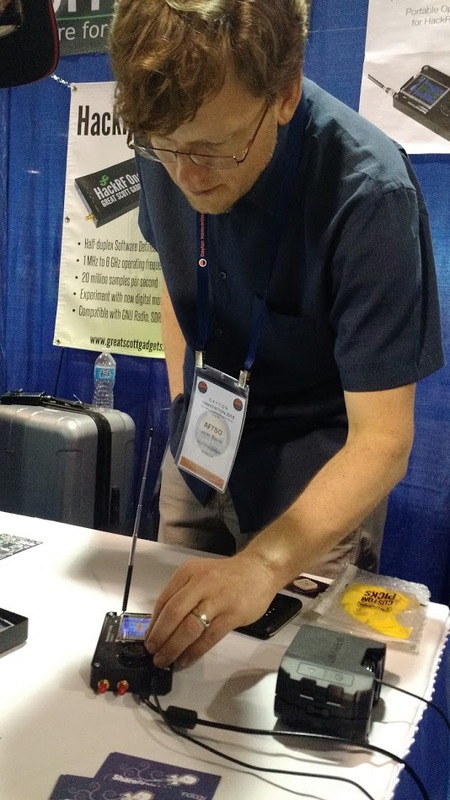 SDR# using HackRF One in foreground, MultiPSK software in background with decoded information. Click to enlarge. DGPS beacon from Moriches, NY. Click to enlarge. I was very pleased that the HackRF One was able to receive DGPS stations, though tuning them in seemed a bit trickier than with a standard RTL-SDR dongle. 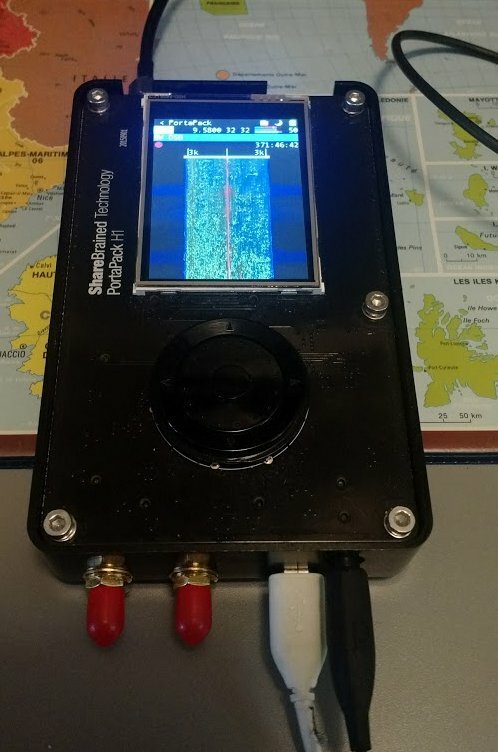 Since this time of year is not optimal for monitoring DGPS beacons, as well as the Longwave band in general, it’s reassuring to know that come winter I’ll be able to do some DGPS beacon DX’ing with the HackRF One. 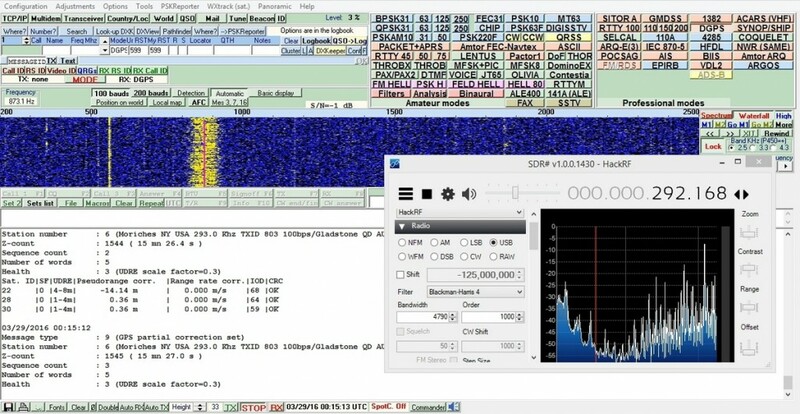 However, anyone with a shortwave radio and a good antenna can avail themselves of DGPS beacon hunting, just tune down between 285 – 325 KHz and listen for the distinctive warble. To decode, look into an excellent program like MultiPSK (http://f6cte.free.fr/index_anglais.htm). 73’s! Thank you, Mario, for another great post! 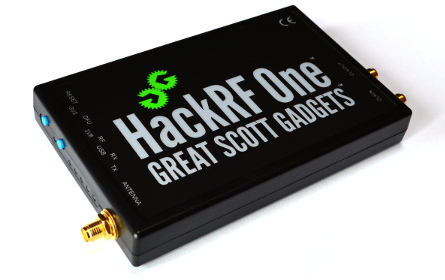 When Mario told me he had purchased the $299 HackRF One, I was hoping he would do some guest posts about this SDR–DGPS beacons was use I had never thought of. Looking forward to more of your guest posts, Mario! 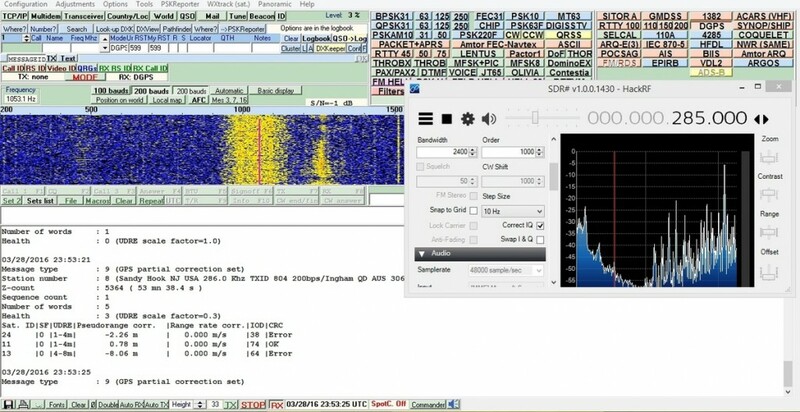 This entry was posted in Accessories, Guest Posts, How To, News, Radios, Shortwave Radio, Software Defined Radio and tagged Beacons, DGPS, DGPS Beacons, Differential Global Positioning System, HackRF One, Mario Filippi (N2HUN), MultiPSK, SDR, Software Defined Radio on April 1, 2016 by Thomas.